Adhunik Power Systems (P) Ltd.
Anu Auto Industries Pvt. Ltd.
LG Electronics (I) Pvt. Ltd.
Avk-Seg & Controls (I) Ltd.
Matsushita Television & audio India Ltd.
Benning Smc Power System Pvt. 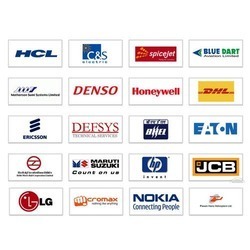 Ltd.
Barco Electronics System (P) Ltd.
Dixon Utilities & Exports Ltd.
S.M. Creative Elect (P) Ltd. Flash Electronics (I) Pvt. Ltd.
Tri Tronics (I) Pvt Ltd.
Indo Asian Fuse & Gear Ltd.
We would like to take this opportunity to thank our clients for maintaining their trust and respect in us.